Virtual Room LA is located in the center of Hollywood, amongst the hubbub on Hollywood Blvd. While the place is pretty easy to find, it may be hard to find metered/street parking, so paying to park in a lot might be your best option. When we enter the large lobby area, complete with their logo backdrop on a wall, we are greeted by a very polite and friendly staff who offer us water and use of their toilet before entering the room. The toilet is located in the back, beyond a nice lounge area in the back of the venue, which can be convenient for corporate events, birthdays, etc. Their lockers in the front act as a table for their laptop so they can check us in. It was here they explained to us that the game started in France and made its way to the states just months ago. After signing the waiver, they explain the rules of the game thoroughly, including how to use the controller in each hand. The place is not huge but once you’re in the game it feels larger. 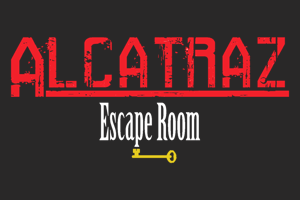 There are a total of eight rooms available, with each player in their own separate 10×10 foot space. Each game consists of 2-4 players so they can have up to four different groups playing separate games simultaneously without disturbing each other. The host will assist you with your HTC Vive headset, which fits comfortably on your head, even if you have glasses. It is attached to the wall via wire, which can feel a little restrictive while you’re playing and withdraw you from the immersion. But once you’re “in” the virtual game, you can see and hear each member as if they’re in the same room with you. People exclaiming “Wow, this is cool!” is a normal thing, because the level of graphics and technology is top-notch and the ease of use and controls are accurate. Once you get accustomed to the controls (which could take several minutes), the scene is set: We live in dangerous times in the Year of 2217. The Alpha team, those responsible for exploring time, has gone missing, and we are now on the brink of humanity disappearing from Earth. We, the Omega Team, have teamed up to search for the Alpha Team and save the future of our world. Traveling from one time period to the next is fun, in terms of the various settings and puzzles. 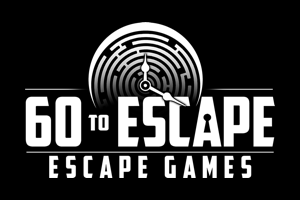 The game still requires the same communication you need in most escape rooms, and there is a lot more movement required here than other virtual rooms we have played, like bending down to search for items and tossing objects to your team mates. Those who love playing video games will have a blast here! And if you get stuck in any way, the game masters will suggest a clue should they think you need it. At the end of the game, with the headset still on, you can take photos of your avatar selves within each world. They even have virtual props to pick up, and you can adjust the camera to your liking like a selfie stick. The VR photos are then sent electronically to your email. Truly another amazing bonus to this already remarkable game! Once you escape the actual “real” 10×10′ space, you can also take a real photo via your phone in front of the large logo on their wall. All things considered, this is a nice substitute to a physical escape room, but those who like real tactile and olfactory immersion will be left wanting more. We’re excited to see what the future has in store for Virtual Room, as we know it will only get better and better as technology continues to improve.